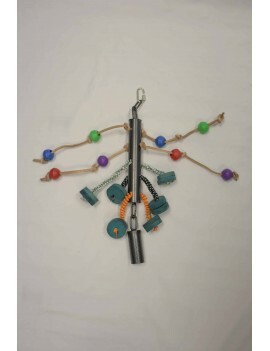 Indestructible metal parrot toy with plastic ball and leather strips for large parrot such as amazon, african grey, cockatoo, macaw, etc. 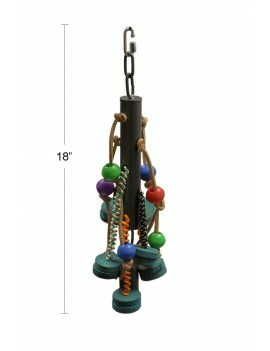 - Indestructible metal parrot toy with bell, plastic ball, and leather strips give your bird multiple fun. - The toy is with durable construction. Made from high quality, non-toxic materials, guaranteed safe for your birds. 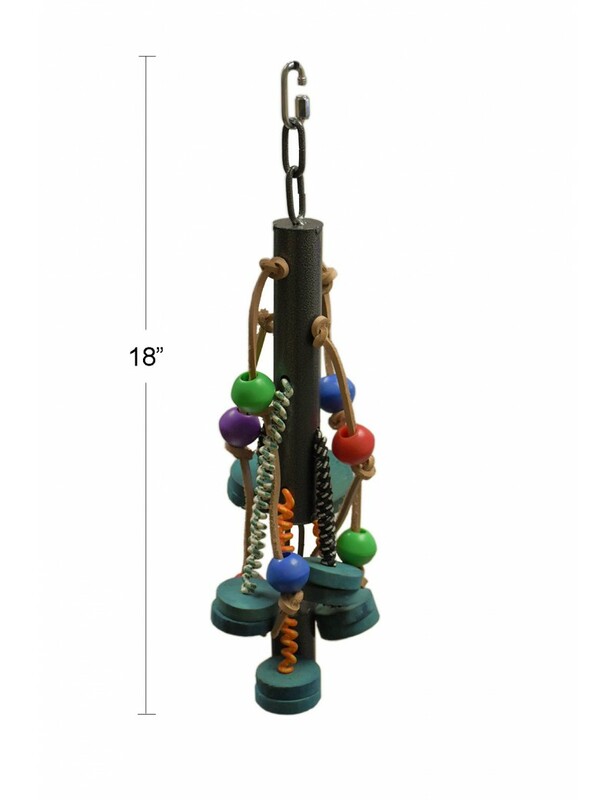 - The bird toy is suitable for large parrot such as amazon, african grey, cockatoo, macaw, etc.